We're so thrilled to announce this on our blog FINALLY! A few of us fellow UK'er and EU'er have came up with a great way to give back to all our EUK fans! Over the next few months we will be doing a lot of advertising to make sure this summer hop is a success. So......Here's what will be happening. UK/EU Summer Hop is an idea which came to mind after seeing so many blog hops happening around the world. As we know how it is being counted as international residents ourselves, we know how it is to miss out a lot on the US/CA giveaways. Therefore we feel that it's time to focus on us in UK and Europe. We know that shipping is quite expensive from US to Europe and of course it runs both ways. The thing is that we still do miss out more often than not, so here's our chance being in the spotlight! Since the idea came around we have been planning the giveaway, which we are hoping will take place between Monday 1st August and Monday 8th August, 2011. Each blogger who is taking part has a certain genre of books to give away and each giveaway will be posted on the same day and ending the same day, lasting for a total of 7 days. UK & EU Summer Hop! and show us your support. There are loads of opportunities to win prizes and more details will come shortly. Welcome to Book Passion for Life's third US vs UK book cover battle. We've seen this posted on a few other blogs, and thought we'd jump on the band wagon! Jess says: Okay, as soon as the UK cover was revealed I came to the conclusion of which one I preferred. And it goes to the US this time. Its just beautiful, purple is my favourite colour so thats one reason. Secondly it just has a more angel feel about it. I find the UK cover too ghostly for me. I love that the UK title is bold and out there, but I love the intricacy of the US cover and also the feather underneath, I guess symbolising the fallen angel. Its just more beautiful to me. Donna says: I'll be honest when I say I've never really like the US cover for this book. I just don't like the tree's in the back ground and I think its a dull colour of blue. But, when I saw the UK cover, I was completely drawn to it. It mainly because of the women on the front, I love the white, its so bright. A great cover for the UK. 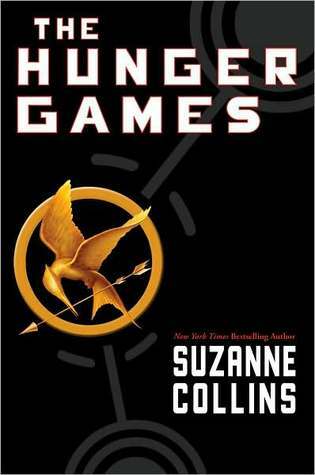 Jess says: Okay this book was my first Dystopian book that I read, and I loved it. Anyway I prefer the US cover of this book. I like that the UK have used Katniss on the front so you get an idea of what she looks like, but the US have used her Mockingjay pin that plays a part in most of the trilogy. I just like that its simple on the outside, which a completely different contrast to the actual dealings of the story itself. I give this one to the US. Donna says: I agree with Jess. I don't like the UK cover at all. The US cover is simple and still makes you interested about the book. Although I haven't read this series, I do plan on reading it at some point. US for this one. Okay guys, this weeks US vs UK goes to.......Neither! Its a draw. Two weeks in a row! Hi guys, it has been a few weeks since we did this but were back up and running! We will be stopping by your blogs a little later today but if you do stop by ours, don't forget to leave us your links, so we can pop by and hello. Q: If you were stocking your bomb shelter, what books would you HAVE To include if you only had spare for ten? Ooohh that's a hard one. 10 books. Of course we'd have to take The Twilight Series (4), The Mortal Instrument Series (4), Firelight by Sophie Jordan & Starcrossed By Josephine Angelini. That's it for this week guys, I'm sure we will speak to you over the next few hours :) Oh P.S Whose watching the Royal Wedding today? :) Hope you all have a fab weekend. What is this, 20 Questions? No Its actually its just 3! 1) What's your favourite type of music? My taste in music generally varies depending on my mood. But I'm very much into my alternative Rock, like Paramore and Kings of Leon. 2) Who is you idol? Ohh this is hard. I'm not sure I really have one right now. When I was younger it used to be Christina Aguleira now I just think she's awesome. So I don't think I actually have one. 3) If you had three wishes, what would you ask for? Oh okay. I'd wish to have some purple Jimmy Choo shoes, a nice long holiday in the pacific somewhere, and more Jimmy Choo shoes. Lol. 1) What's your favourite animal? I've never been one for animals but I'd love a dog. 2) If you had wings and could fly, where would you go? I'd fly straight to NEW YORK CITY BABY! I've always wanted to go and I really hope I do sometime. 3) Similar to my question 3-If you had a Genie what would you wish for? That's it for this weeks Q & A's, don't forget to stop by next week. The Blurb: My name is Meghan Chase. The Review: I'm still a little lost for words with this book so I'm going to try and write as best a review as I can. 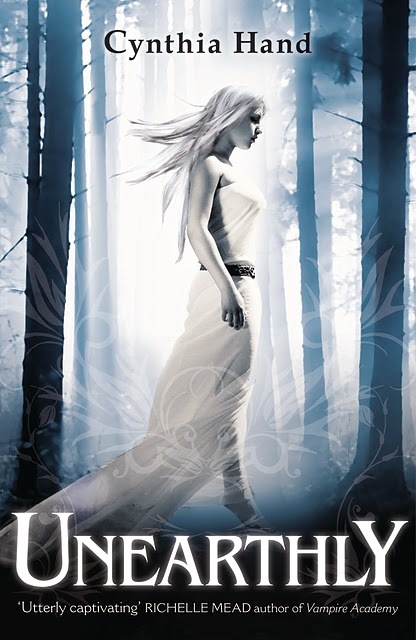 The Iron Queen is the third book in the Iron Fey series and its starts off pretty much were The Iron Daughter ends. With Ash & Meghan now in the mortal world after being exiled by both the Summer and Winter courts, they start planning on being together. Although, their happiness is short lived and are thrown back into the nightmare of the war started by The Iron Fey. With Meghan being the only hope to save the whole of Faery, she takes on another journey with Puck, Ash & Grim who are helping her fight to see another day by trying to take down the false Iron King. I'm completely amazed by how great this series is. After reading book one & book two, I never thought they could be beaten BUT I am so glad to be wrong. I can not believe the emotional journey that is this book. It had everything from adventure, mystery, action, romance and I completely loved every single moment of it. 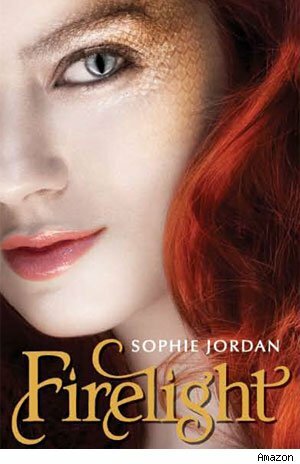 What I really enjoyed about this book was, that we got introduced to some new characters, most of them Iron Fey but I was so surprised by how quickly that I took to them. Even though they are supposed to be the enemy, there were still so likeable. But, my favourite new character has to Razor who is so adorable. Don't shoot me for saying this, but I actually think I like him more than Grim. I really hope we see more of him in future. I felt Meghan became a stronger person in this book. The poor girl goes through some much with the fate of Faery weighing down on her shoulders but at least Ash was there to help. I was extremely happy that there was so many happy time between them both. I love that their so open with each other and that they new what the other was thinking at times. There relationship becomes unbreakable in this book and I am so excited to see where the next book takes us. With Ash being my favourite character, and not just because he's hot (even though that helps, lol) I can not wait to see things from his point of view. I also think it will be good to see how well Ash & Puck get on and see where their journey takes them without Meghan. I'm praying for happy ending at the end of book 4. These characters deserve so much and with Ash & Meghan still in a forbidden romance, there needs to be a happy ending for these two. Please Julie! The Blurb: A hidden truth. Mortal enemies. Doomed love. The Review: Okay I'm going to try and turn this review into coherent words. Not sure how well that will turn out. But here goes nothing. By far the BEST YA book I've read in 2011 so far! Fact. 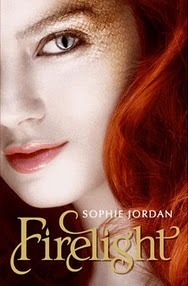 Firelight is a new novel by Sophie Jordan, and its amazing. Simply incredible. I couldn't get the book out of my head *cough* Will *cough*. I went to sleep thinking about it, I woke up thinking about it, wanting to read it. To turn those delicious pages to keep getting more. Its an all new shifter type book. Instead of wolves, we're focused on dragons. However they aren't called dragons in this book, they haven't been called dragons for generations, they're now called Draki. Descendants of dragons with the ability to manifest back and forth between draki and human forms. We meet Jacinda Jones, the only Firebreather of her Pride, she's to be 'bonded' with Cassian the son of Severin the alpha. Both HUGE Onyx Draki's. Much to Jacinda's displeasure. After flying (illegally you could say) in and around her home, she finds herself in trouble with the alpha. Her mother begs them not to be harsh but they don't listen. So she takes Jacinda and her twin sister Tamra, and they flee to the human world, in the hopes that the reluctant Jacinda will lose her inner Draki and become human, like her mother, and like her sister who never manifested. From page one, I was completely hooked to this book. I fell in love with it. Uncontrollably and irrevocably in love with it. Jacinda is a great character, and easy to like. You immediately hope that things work out for her. She's a strong character and doesn't whine! I hate whiny heroines. I felt like Jacinda was a friend that I could have forever. Her mother, well I don't know what to make of her. She pretty much pissed me off through out most of the book, but I can see why she did the things she did. Parents always do it because they think its what's best for their children and should be try to be happy if it makes their children happy. Well Jacinda isn't happy. And she doesn't find happiness. That is until she encounters Will Rutledge. Ah Will. Another fictional man to add to my ever growing list of hot fictional characters. Will is the embodiment of sexiness. Really. He's the one that seems to spark Jacinda's inner draki, keeps it alive just as she wants. She finds herself getting closer and closer to him. They're relationship if brilliantly written and very well developed throughout. I loved the idea of him being the hunter and she being his 'prey' so to speak. Not in the kinda creepy stalker sort of way, but the instinct way. The way he was brought up. Against all odds and the glaring eyes of the school skank, and the 'Don't go there' from her sister and mother, their relationship takes a turn for the good and they find themselves falling in love. Now lets discuss this ending. Well its not what I expected. It was brilliantly written no doubt about it. It was left ready for the great sequel Vanish which I'm looking forward to. Did I want it to be a happier ending? Yeah of course, but then if that happened would there have been more Will and Jacinda? No there wouldn't be. And I want more Will! There are sooo many possibilities for the next book. I happen to think that Tamra will eventually Manifest. I hope she does. Anyway to conclude, Firelight is incredible. I reccommend EVERYONE reads it! EVERYONE! Sophie Jordan is brilliant. A truly wonderful writer. And I'm so incredibly pleased that I read this book. It's given me motivation to read more Sophie Jordan. She's a legend. Firelight, is an instant classic. Wonderful. OMG! After just finishing book 1-3, I'm really excited to see this cover reveal. I really enjoyed the first novella Winter's Passage, so I'm so pleased that Julie has decided to write another novella story about Puck's journeys. Although I'm Team Ash, I still love Puck as a character and I can't wait to get inside his head. If you've read this series, I'd love to hear your thoughts. 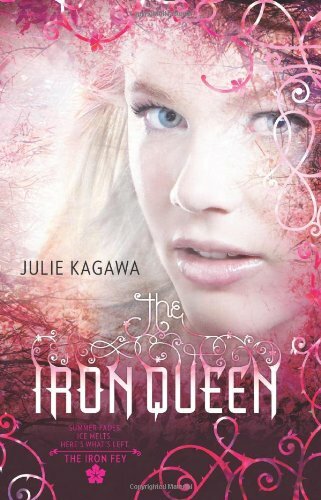 My review for The Iron Queen will be coming a little later tonight so you can see mine. 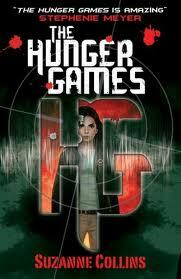 BUT, if you haven't read this series....READ IT! It's a must read guys! 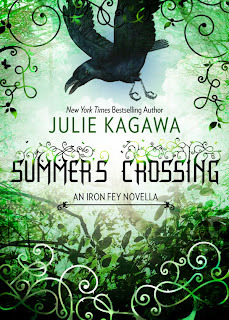 Here's what Goodreads have to say about it: Summer's Crossing is an Ebook novella told from Puck's point of view that accounts for the time elapsed between the end of Meghan's story, in Iron Queen, and Ash's tale, told in the upcoming forth instalment of Kagawa's Iron Fey series, called Iron Knight. Afternoon everyone. Some news for all the Unearthly fans out there. The UK cover for it has been revealed. We like it, but I (Jess) prefer the US cover in purple. Donna prefers the UK cover. 1) "You are my heart, my life, my entire existence." 2) "Her desires are mine. Her wishes are mine. Should even the world stand against her, my blade will be at her side. And should it fail to protect her, let my own existence be forfeit." "I touch his cheek, see my hand shake, and quickly pull it back. He grabs my wrist, places my palm back against his cheek, and close his eyes like he's in agony. Or bliss. Or maybe both. Like he's never been touched before. My heart squeezes. Like I've never touched anyone before. 'Don't stay away from me any more.' "
Leave us a comment below or link to your blog. You've won the signed copy of Solid and bookmark by author Shelley Working. Congratulations Nat! An email has been sent to you and the book will be posted over the next few days. To all our followers who didn't win, don't worry we have some fab giveaways happening over the next few weeks so stay tuned. Here are a few great giveaway happening at the moment. Also another chance to win a copy of The Goddess Test - Go to the blog to enter. Open Internationally. Check it out. 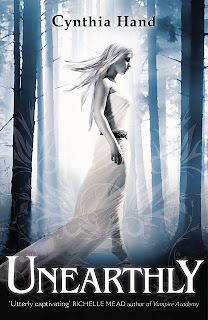 The Blurb from Goodreads: Half Summer faery princess, half human, Meghan has never fit in anywhere. Deserted by the Winter prince she thought loved her, she is prisoner to the Winter faery queen. 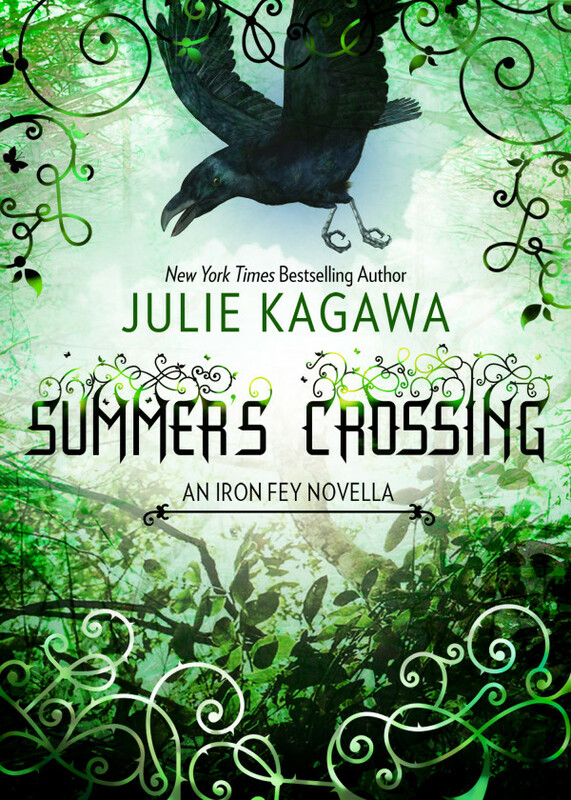 As war looms between Summer and Winter, Meghan knows that the real danger comes from the Iron fey—ironbound faeries that only she and her absent prince have seen. But no one believes her. Worse, Meghan's own fey powers have been cut off. She's stuck in Faery with only her wits for help. Trusting anyone would be foolish. Trusting a seeming traitor could be deadly. But even as she grows a backbone of iron, Meghan can't help but hear the whispers of longing in her all-too-human heart. The Review: This is fast becoming one of my favourite series ever. The Fae aren't usually my favourite mythical creature to read about but this book has surpassed my expectations. 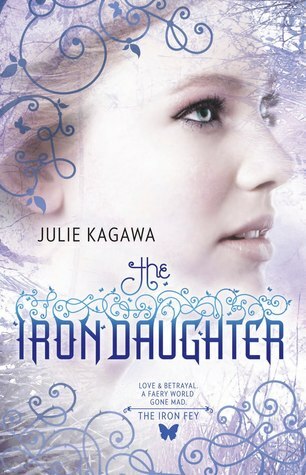 The Iron Daughter starts with Meghan being stuck in the Winter Court, freezing with no magic and feeling alone. To make things worse Ash is acting like he hates her, faeries are trying to trick her and Puck is still in a deep sleep. When Ash's brother Sage is killed by the Iron Fey, the blame falls on the Summer Court, therefore the Winter Queen declares war against Summer, leading Ash to help Meghan escape which soon becomes a very deadly journey. I honestly didn't know how this story was going to play out but its was absolutely amazing with part one being one of my favourites in the series. The turn of events had my gripped to the edge of my seat and I ended up finishing it the whole book within 24 hours. I loved it and I loved it even more than the first one. I was so glad we got to see so much more of Ash and Meghan's relationship develop. I'm a sucker for romance and I'm even more a sucker for a forbidden romance. Yes, its been played out so many ways but Julie's style of writing had me feeling every emotion that Meghan felt. The sadness, the loneliness and the heartbreak. I felt so connected to Meghan's character that you can imagine, I was completely over joyed with the end result. Not only was I happy about Meghan & Ash, I was also happy to have Puck back. I enjoyed seeing him finally take a stand to Meghan and declare his love for her, although its a little sad I do believe the best man won in the end. The journey the characters take is exciting, dangerous and action packed and I loved meeting some of the new characters, but also the return of Grimalkin, who I think has a lot more tricks to show us yet. Oh and poor Ironhorse, I do wish that had played out a little differently. Overall, this was a fantastic series and this book is still in my mind after finishing it nearly 9 hours ago. I would totally recommend this series to anyone. Its a MUST read and i'm so looking to finding out what happens next. The Review: You know that saying 'things get better with age'? Like wine? Well the Iron Daughter is similar to that, this gets better with each book. Seriously. I finished the book this morning on the train to work, and I was just left with a longing on how much I love this book, that I just want more! This series is definitely starting to become one of my favourites of 2011, so far. I didn't really know how everything was going to play out in this book. After Ash, coming to collect Meghan from her world to take her to the Winter Court, to fulfill her promise to him. She's left alone, cold and abandoned by him without a friend, without her slowing building faery powers, which now lay dormant thanks to the faery b*tch Queen Mab. I was hooked at every page, I just kept turning, wanting to know what happens next. I loved this one more than the first one, it was just better. I was so pleased to see more of Ash and Meghan. To read how their relationship grows, but to also see how their relationship ultimately affects the people around them like the Summer Court, the Winter Court, Puck etc. Having already created the world in The Iron King, Julie Kagawa still manages to describe the surroundings in such vivid detail that I find myself right there along side Meghan, Puck and Ash. Meeting the new characters who were introduced slowly but well developed by the end of a chapter. Great wrtiting. I'm not sure why, but I felt immediately drawn to Meghan and connected to her, that every emotion that she went through in this book I felt too. The loneliness, the heartbreak, being terrified, being brave when needing to. It was wonderful, I love being able to connect to the characters, to feel for them, to feel like you're right there in the midst of everything. I was so pleased to see Puck return, to have more of a part in this during Meghan's adventure. To have finally announce his love for Meghan, it was wonderful and I love Puck. Let me move onto the ending of this book. I mean wow. I was rendered speechless and left smiling like a fool. It was a deeply well thought out ending. My favourite part? Well Ash confronting Queen Mab and finally declaring his love for Meghan. It was beautifully done, and I felt like I was right there in the crowd watching him. I won't go into too much detail because I may end up spoiling but at the very very end of this book...well I just hope that they manage to find their way back. A loophole of some sort. I do feel a little sad for Puck in all this, but in the end Meghan needed to follow her heart, and her heart pointed her in the direction its always been pointing in. Ash. I honestly cannot wait to start on The Iron Queen, I NEED to know how this is going to pan out. Overall this journey was fantastic, old characters, new characters, funny moments, sad moments. The ending was wonderful and it left me wanting lots more! If you haven't already read this series, or you've thought about it and decided against it, well I have one thing to say. SHAME ON YOU! Pick these books up, read them, fall in love with the world of Faery, fall in love with Ash, and with Puck. Its simply an irresistible read, and definitely a must have on everyone's bookshelves. P.S-Some of you may be wondering which team I am? Ash or Puck. Ha, well, that's actually quite hard, I've been swaying a lot recently, but ultimately I am...neither. I love them both too much (like WIll and Jem) that I am, right now, TEAM PUSH. Author Interview with Lauren Shaw and giveaway. Great giveaway's by other blogs.